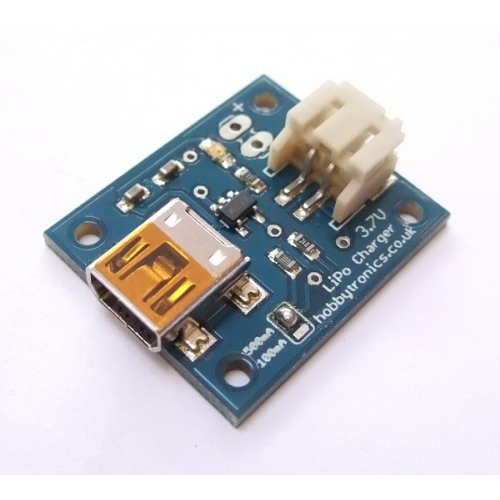 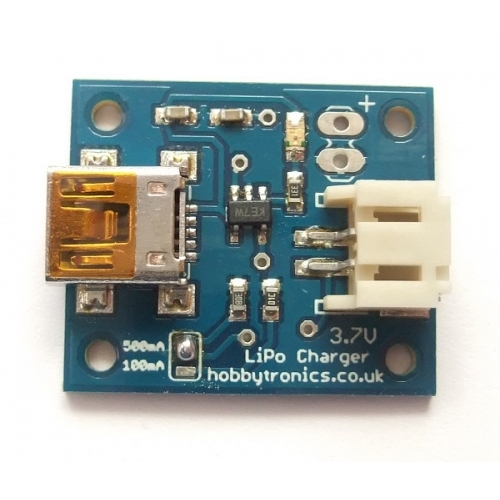 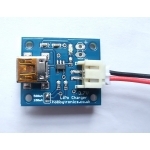 The USB LiPo Charger contains an MCP73831T Lion/LiPo Charge Management Controller IC for reliable charging of Lithium Ion and Lithium Polymer batteries. 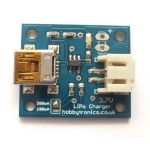 It uses a standard Mini USB socket for power from a suitable 5V USB source and has a JST socket. A status LED indicates charging is taking place.